Osteoporosis is a multifactorial disease in which genetic factors and epigenetic modifications play a major role. DNA methylation is known for gene silencing and its effect on BMP2 promoter has been studied here to understand its regulatory activity in osteoporosis pathogenicity. CpG methylation in the BMP2 promoter was analyzed by performing bisulfite specific PCR on the gDNA samples extracted from whole blood of osteoporotic (n = 24) and healthy (n = 24) individuals. Disproportionate allele frequency of CpG sites was calculated statistically. Differential BMP2 expression was estimated using quantitative RT-PCR technique. Luciferase reporter assay was performed to determine and confirm differential transcriptional activity of BMP2 promoter due to methylation. Total of 14 CpG sites were reporter in the BMP2 promoter of which, CpG site at − 267th position upstream to TSS was found to have disproportionate allele frequency among osteoporotic and healthy individuals and was found to be significantly associated with osteoporosis condition. 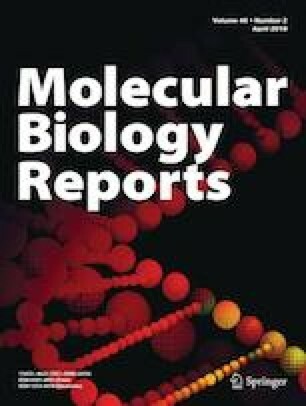 Functional and gene expression analysis of this methylated site using luciferase reporter vector and Real Time PCR approach, suggested reduced transcriptional activity of BMP2 promoter as well as decreased gene expression in disease condition. BMP2 is being a central signaling molecule, aberrant methylation in the promoter region may result into down regulation of osteoblast markers involved in bone formation.